Adobe Premiere vs. iMovie: Which is better for video editing? When we're not creating some killer written content, we spend time using video editors. We've used class-leading software and can recommend the best option for you, depending on your needs. Adobe Premiere Pro isn't cheap, costing around $20 per month for the Creative Cloud subscription, but what this software offers is among the best video editing experience available on Mac. Should you not want to be locked into a contract, Apple's Final Cut Pro is a worthy alternative. Apple iMovie is a great free tool available for Mac owners who wish to tie together a few home movie clips to share with friends and family. It's also a handy piece of kit for starting up a new YouTube channel, but you'll want to move to Premiere Pro or another commercial software at some point. For the absolute basic video editing — when you only want to stitch together a few clips — iMovie is more than enough in most cases. When you fancy diving into the deep end and making some serious videos with effects, export to various formats, and use cool transitions, you'll want to check out Adobe Premiere Pro. Choosing video editing software to use depends on what you need to do. Not everyone will need to purchase and use Premiere Pro (and not everybody will have the skill), but free options like iMovie may not have all the features and format support required. Adobe Premiere Pro and Apple iMovie are similar in design but different in available performance. Adobe Premiere Pro is the more powerful suite of video editing tools, which shouldn't come as much of a surprise considering it's the only commercial option here. iMovie just doesn't compare, but it's also available at no additional cost after picking up a new Mac and is incredibly easy to learn. Adobe Premiere Pro is the company's flagship video editing software, used by numerous professionals and enthusiasts. Adobe has been working on Premiere Pro for a decade and it shows. The software is well built, runs well, and offers all the advanced features you'd expect from a tool that costs you a monthly subscription. iMove is a great place to start, while Premiere Pro is for professionals and enthusiasts. iMovie is not competing against Adobe Premiere Pro. It's not meant to be as powerful, nor will it allow you to create content that matches the quality possible with Premiere Pro (Apple's own Final Cut Pro is the company's competitor for matching Adobe's offering). iMovie, however, is a great place to start, especially if you're not certain what you need in terms of video editing features or even what you're doing. 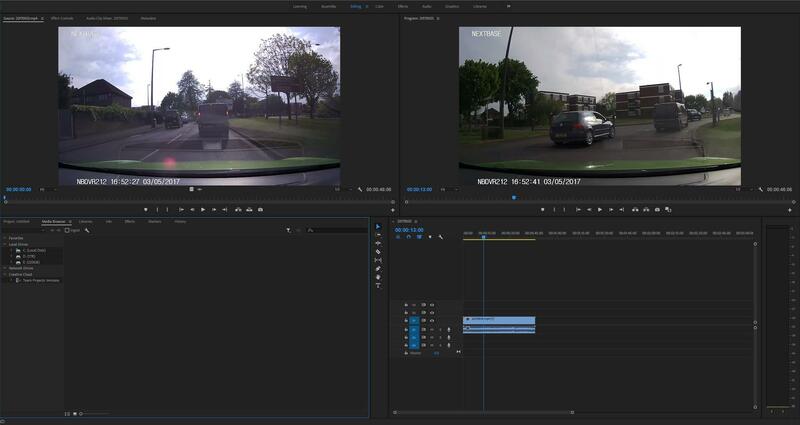 You get the familiar timeline feature where you can easily drag and drop files, cut and paste clips together, and make a quick video or few, but in order to really dive into multi-channel editing with better format support, as well as integration with other design apps, you're going to want to consider Premiere Pro, part of the Creative Cloud suite of apps. 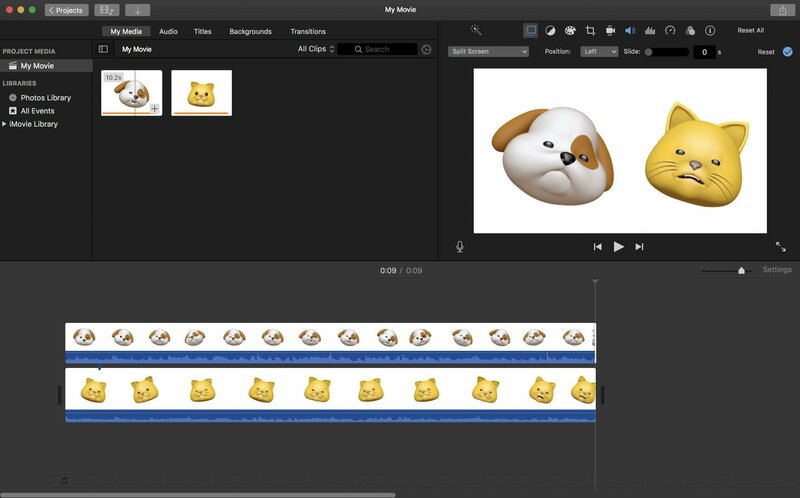 As a free application direct from Apple with the most basic of functionality, iMovie is a no-brainer if you're just starting out. Diving into the deep end with Adobe Premiere Pro without considering just what you need in terms of software can result in you paying out for functionality available in iMovie. We encouraged you to begin your editing journey with iMovie, see how the software performs for the videos you wish to create, and go from there. When ready to take the next step and go professional, Adobe Premiere Pro will be a great investment. Adobe has spent many years perfecting Premiere Pro and the current version is used by countless professionals and enthusiasts to create killer content. It's expensive, takes a while to learn everything, but offers incredible features and format support. Adobe has worked on Premiere Pro for more than a decade and it shows. This suite of tools has everything you need to make the best-looking videos around. If you own a less-powerful Mac, you may need to look elsewhere as this suite requires a high-end machine, especially if you're working with high-resolution media. If you're not sure about what software you need and haven't tried iMovie yet, it's worth it to give Apple's free suite a try. Not only does it cost nothing, but it's also easy to obtain from the Mac App Store and will allow you to test all the functionality and see if you need more from a video editor. Apple offers iMovie as a free video editing suite from the Mac App Store. It's there to allow anyone to hook together a few clips they have at hand and export them for sharing online with friends and family. It's easy-to-use but very basic in terms of features.